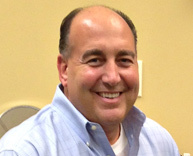 Samano has been with us since1997 and is a graduate of the Pennsylvania College of Optometry. His internships at the Eye Institute in Philadelphia, the Wilmington VA Hospital and Moore Eye Institute allowed him to manage a wide range of glaucoma, macular degeneration, and diabetic patients. He keeps abreast of the latest technology and recently incorporated a GDXvcc glaucoma screening device into the practice. This allows for the earlier detection of glaucoma compared to traditional methods. Samano is a graduate of Salus University of Pennsylvania College of Optometry and did her Residency in low vision. She has been practicing optometry for 11 years, from pediatrics to family care to geriatrics. She specializes in contact lenses: multi-focal, bi-focal and gas-permeable contact lenses. 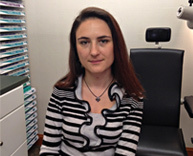 She is highly trained in offering treatment and diagnosis for glaucoma, cataracts, dry eyes, allergies and much more. Dr. Mosheyev is also fluent in Russian. "The staff are very friendly, knowledgeable and helpful in picking out glasses (I value their opinion) Easy to get appointments. The staff will make repairs in the spot if they can. The doctor is very good." "I've been going here for years, I'm always treated respectfully and with the best care. Highly recommend!!" "I had a very good service at this eye glass store. Compared to where I had been going for at least 10 years before finding Springfield Opticians. I always would feel rushed into buying or choosing before they closed. I had a lot of pressure so I went looking elsewhere and found Springfield Opticians." "Everyone was super nice and very helpful! Really appreciated being treated so kindly! Will definitely recommend and will come back when needed!"